As I read through the list I checked imaginary boxes in my head. I’m like, so zen. I bet I do all of these things. But a huge red flag went up. Uh oh. No I don’t. I’m always busy, and I’ve always accepted that as OK because “I like being busy.” But is that really why? Now I’m asking myself all kinds of questions. Am I filling my schedule to avoid something? Am I missing out on life because I’m going from thing to thing to thing with little “space between things”? Am I doing things “completely”? I fear I am not giving my best at all times. 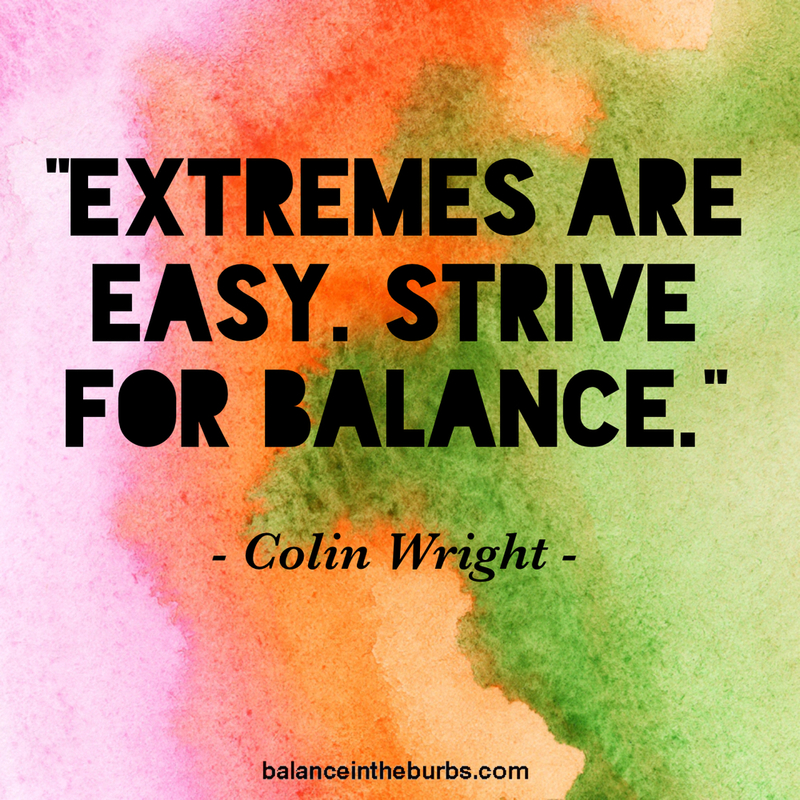 This blog is called Balance in the ‘Burbs. And yet I’m off-balance. Go figure. I find that generally the things people preach about the most are the things they need to work on the most. So I admit it: I’m off-balance. Teaching yoga and writing this blog make me incredibly happy and consume a lot of my time. I have a 9-to-5 job yet I’m just not willing to give up yoga or the blog. Or, you know, my job — the thing that provides the money I need to do all these wonderful things. I don’t have a nice little conclusion to this post, as I’m still working to resolve this sticky situation. First, I’m going to investigate No. 1 above. Is it true that I enjoy being busy? Or am I staying busy to avoid something? I’ll be asking God, my therapist and myself for guidance on that one. I don’t know the answer right now. If the answer to No. 1 is truly that I just enjoy being busy, No. 2 is mute. But let’s say it isn’t. Let’s say I need to scale back and “put space between things” so that I can do things “slowly and deliberately” and “completely.” Then I face the challenge of what. What do I cut out? Maybe this is a first world problem. Or maybe even a suburban yoga teacher problem. But it’s a problem in my world and it needs to be addressed. If you have any insight or guidance, please share! I’ll keep you updated on my progress/discoveries. Until then, don’t be surprised if you see me teetering in balance poses on the mat.